Our product range includes a wide range of press parts. 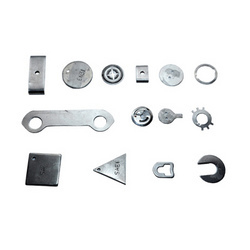 Our array of Press Parts is made using high quality raw material sourced from established vendors. These are in great demand among the clients for their optimum functionality, accurate dimensions and quality. Our Press Parts are available in various dimensions at reasonable prices to meet the client demands. Looking for Press Parts ?